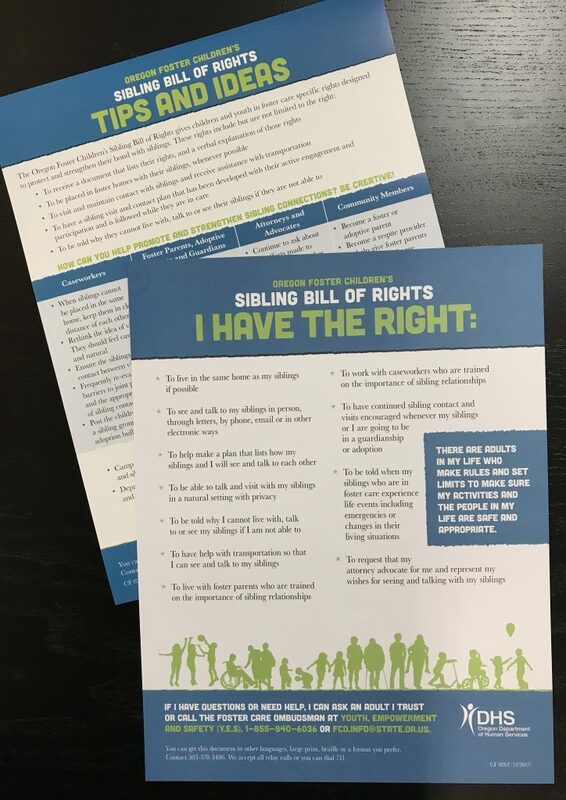 The Sibling Bill of Rights is Here! 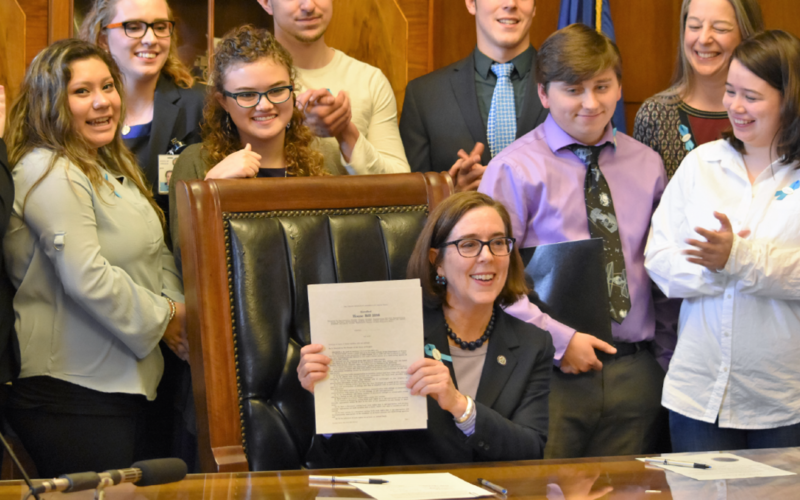 Oregon Foster Children’s Sibling Bill of Rights! Please contact your DHS caseworker or your local branch office for a hard copy of your own. Don’t forget you have the Foster Care Ombudsman for support around ALL your rights! Call the Youth Empowerment and Safety (Y.E.S.) line at 1-855-840-6036 or email fco.info@state.or.us.